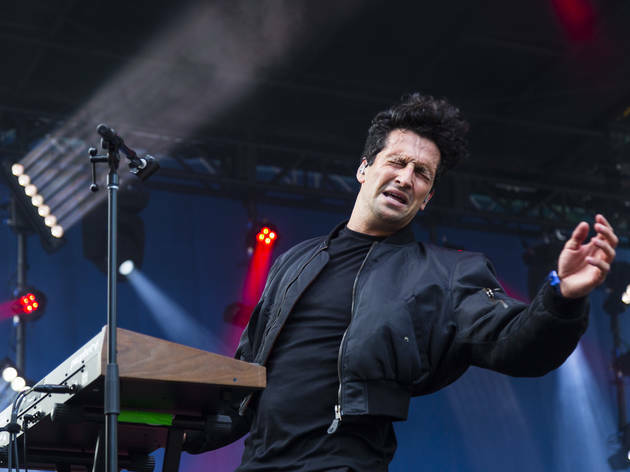 Pitchfork Music Festival prides itself on putting fresh voices in the spotlight, and there were plenty of opportunities to seek out relatively new music on Saturday. Effervescent pop punks Cherry Glazerr tore through an early afternoon set on the Blue Stage, Mitski delivered a brazenly emotional performance to a rapt crowd and Angel Olsen brought her stirring ballads to the main stage, joined by a band in matching blue suits. The allure of seeing a rising act in the early stages of their career is part of what makes Pitchfork so special, but on Saturday, some of the festival’s most memorable moments were provided by artists with deep discographies and expansive histories. The nostalgia became pronounced when godfather of funk George Clinton and his 20-plus member band (including a singing contortionist) blended hip-hop and R&B through multiple boisterous medleys that touched on tracks by both Parliament and Funkadelic. Likewise, reunited post-punk band the Feelies momentarily turned a field in Chicago into CGBG in the late ’70s, stringing together jangling guitar melodies in the muggy summer heat. A rare appearance by British singer-songwriter PJ Harvey brought the afternoon to a close, set to the blaring saxophones and pounding drums of her cathartic, gothic anthems. One of the largest crowds I’ve ever seen at Pitchfork Music Festival (Saturday was sold out shortly after the gates opened in the morning) squeezed onto Union Park’s main field to watch A Tribe Called Quest’s headlining set. Marking the group’s first concert since the passing of founding member Phife Dawg, the performance acknowledged him (with an empty mic stand onstage) but smartly opted to celebrate his work by letting Phife speak for himself, via pre-recorded verses. 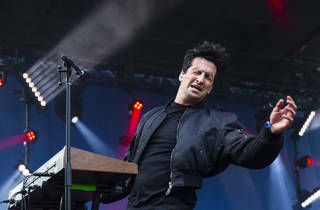 Filled with material from the group's recent comeback LP and loads of classic tracks from Tribe's heyday, the set struck a satisfying balance between old and new—much like the festival itself.